Following a recent trip to Canada a friend kindly came back with the third issue of a tidy little magazine called Names and Places. Surprisingly this was actually the only domestic publication to be found among a wide selection of European train mags over there. Anyway as it happens Names and Places turns out to be a real gem! 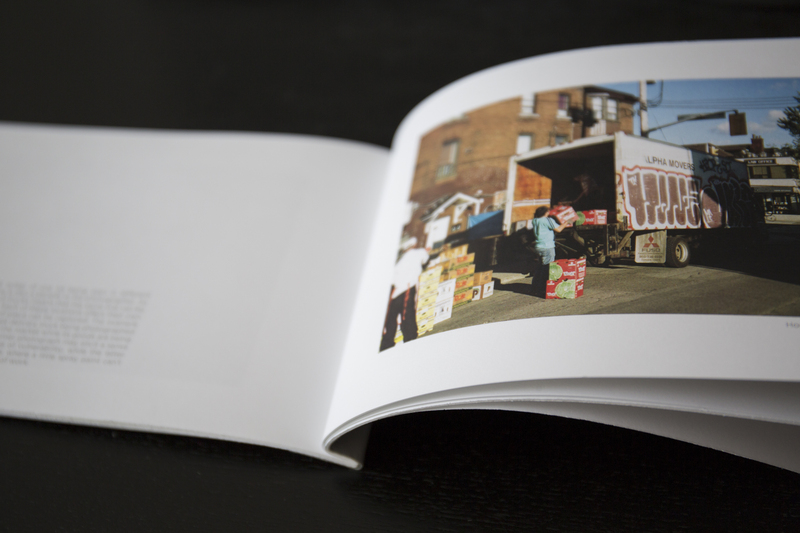 Hailing from Toronto the publication solely documents the use of the van as a mobile ‘surface’ in urban spaces. The introduction to the magazine sets out a specific aim to demonstrate how the choice of surface can situate graffiti within a particular space and how film photography can capture this “sense of place”. Although the idea of utilising a moving surface for graffiti is hardly restricted to vans they do provide a unique, street-level, moving canvass that can cover any given urban area almost unrestricted. There is a nice mix of vans reproduced that are covered in various tags, throw-ups, styles, chromes and colours. These contributions, from four different photographers, all have a really nice quality to them which perhaps reflects the use of film or the standard of production. Aside from the brilliant shots of vans taken in their urban contexts what really brings this publication together is the text. Made up of an intro and a six part essay to accompany the photos the monograph provides a thoughtful examination of the subject. It’s explained that rather than being a localised event, graffiti placed on vans becomes an all-city phenomenon because of the utility of the vehicle. The nature of this transient surface may also allow graffiti to remain much longer than on other locations such as a train or shutter. Graffiti is always specific to its location but when placed on a van this peculiarity changes with the movement of the vehicle. An example given is of a graffed-upped van being unloaded in a bustling market compared to the same vehicle sitting forlornly elsewhere in an empty yard. The mobility of the painted surface can prove a problem for the photographer as there may only be a small window of opportunity in which to catch it. However the advantage of photographing vans is that each picture taken conjures up a unique situation in which it was captured. 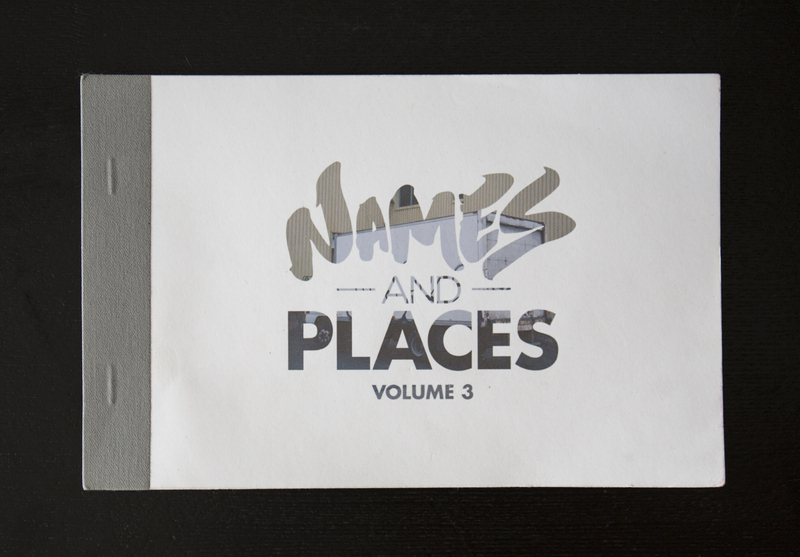 Volume three of Names and Places is a thoughtfully produced publication. The photographs are of a good quality while the author has something interesting to say about the topic. 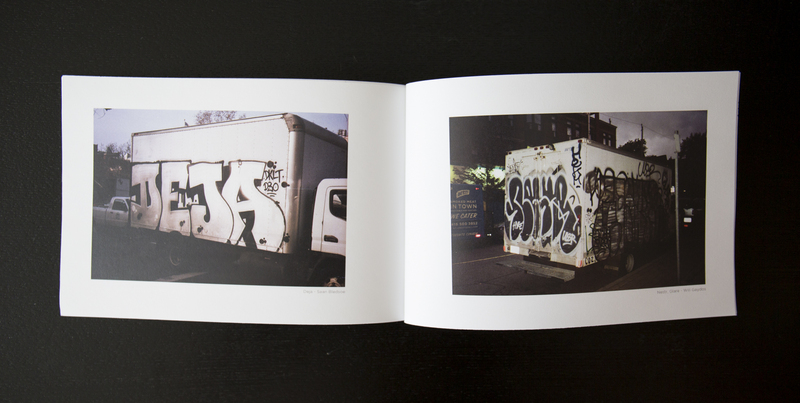 The magazine doesn’t focus on vans simply for their novelty but rather as a way of exploring how graffiti interacts with the urban environment.